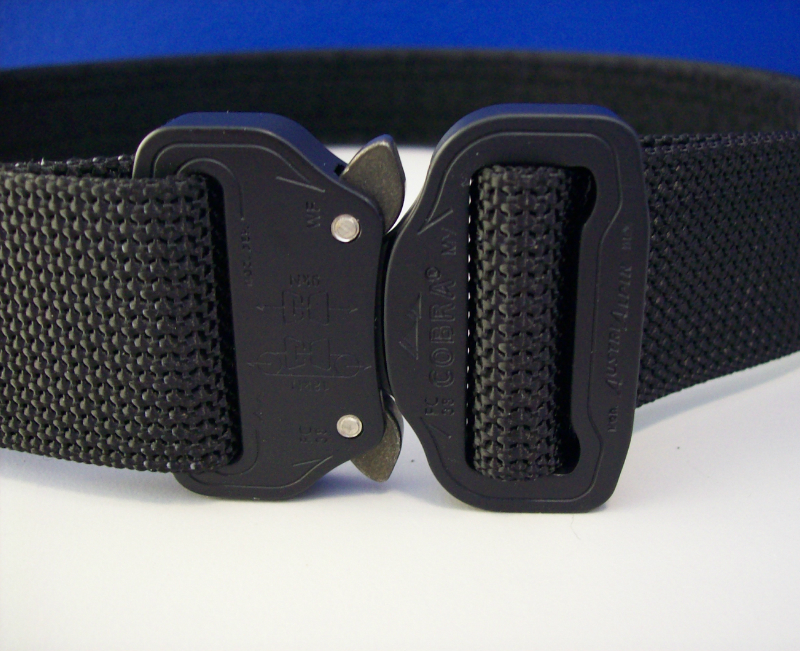 A double layer of 1.5" dive webbing and a 1.5" AUSTRIALPIN COBRA buckle. Same as our 1.5" Double Layer except we add 1.5" hook Velcro on the inside of the belt if you are using it as an outer belt, or 1.5" loop Velcro on the outside so you can use it as a 2 layer, COBRA buckle inner belt. SIZING: If you are using as an inner belt order your pant size, as an outer belt order one size larger than your pant size. You can order a 1 layer inner belt with Velcro closure and covered in loop Velcro on the outside in the drop down menu.